The two runners-up were the Volkswagen Golf and the Nissan Qashqai. 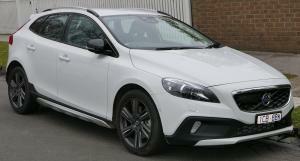 However, the Volvo V40 with Driver Support Pack stole the show with its five-star Euro NCAP crash test rating. Other criteria included carbon dioxide emissions of less than 120g/km and being widely available on the second-hand market for less than £15,000. The Volvo V40 has quite a history when it comes to introducing safety features. It was one of the very first cars to feature autonomous emergency braking (AEB) to automatically apply the brakes if a collision is detected at speeds below 31mph. The same vehicle was also the world’s first car to feature an airbag system to protect pedestrians in the effect of an accident. Providing customers with safe vehicles and a safe environment in which to make their car purchases should be of paramount importance for all UK car dealers. Therefore, it’s highly recommended that all such businesses ensure they have adequate demonstration insurance in place to provide test drives upon request and that they update their other motor trade policies. Bruce Greenwood, the used car programme manager for Volvo Car UK, said of the award: “With renowned Volvo safety, quality and dependability, as well as the peace of mind you get when buying through the Volvo Selekt Approved Used Car programme, the Volvo V40 is an outstanding used family car choice.